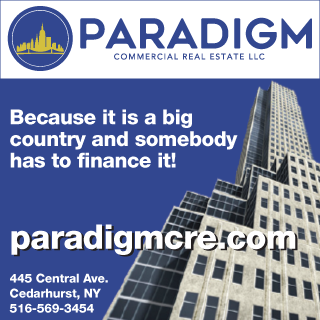 Talk of Opportunity Zones (OZs) is omnipresent throughout the commercial real estate community, especially in Upstate New York. The federal program, which was officially launched in 2017, encourages economic development in distressed communities across the U.S., promising principal tax breaks on capital gains to those who invest and hold their assets for the minimum five years. Since announcing the designated census tracts in April 2018, local real estate professionals have kept their ears close to the ground, eager to spur the local economy while reaping the tax benefits the program offers. While the majority (125) of the state’s OZs are located in urban NYC, it’s Upstate NY that’s keen on development, particularly in struggling communities hungry for economic expansion. In Buffalo specifically, where the current poverty rate sits at 14.7%, opportunities for investors to boost the local market while benefiting from tax breaks are plentiful. Currently, Erie County has 23 official census tracts poised for potential. But, despite clarity on where opportunities lie, local investors and developers struggle to quickly source, analyze and conduct deals in these zones before the competition does. The solution? Robust CRE technology powered by off-market data. Considering the competitive investment climate throughout NYS, marketed sales listings alone are no longer sufficient. 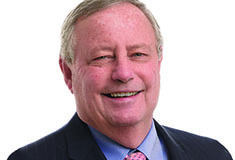 CRE technology, like Reonomy, harnesses the entire universe of commercial assets to widen the scope of possibility and simplify the OZ search in Buffalo’s emerging markets, like multifamily and manufacturing. Demand is rising, making it imperative professionals surpass the competition by finding valuable assets first. While sales listings provide a solid baseline, they only offer a myopic view of Buffalo’s total asset stock. CRE technology, like Reonomy, leverages off-market data to deliver the maximum breadth of options for further exploration. This data is comprised of both listed and unlisted properties, widening the scope of potential in Buffalo’s OZs. Technology like Reonomy also allows users to search specifically within OZs, quickly serving up assets located within the county’s designations. Combined, these features empower professionals to find high-demand commercial assets faster and consider options that may have gone overlooked using just sales listings. Although the breadth of data is certainly valuable, it’s the depth that propels users past the competition in the latter stages of outreach and deal-making. Nuance is a powerful tool, especially in CRE. Individual property details a user finds during prospecting can, and should, be used to strike a better OZ deal. In tailoring a pitch with physical, transactional and portfolio information, investors and developers have a better chance of securing a deal that’s flexible and beneficial for both buyer and seller. Using the power of CRE tech and off-market data, what submarkets should Buffalo’s commercial real estate professionals explore? Like many other emerging cities, multifamily continues to shine throughout the Buffalo-Niagara region. The Buffalo News reported 2018’s housing market was hotter than years past, with supply grossly underserving the rising demand. Factors like population growth should also be accounted for; the Buffalo-Niagara region has outpaced the nation’s average young professional population since 2012, with more adults ages 25-34 moving to the area. These indicators lend to a positive multifamily outlook, especially in OZs where return-on-investment is more substantial. According to Reonomy data, there are 16,038 commercial assets located in Buffalo’s nominated OZs. More than 6,500 of these are properties categorized as multifamily, the majority (5,444) of which are duplexes. Those interested in multifamily investing can leverage CRE technology to easily dive deeper into individual properties to determine which assets might be particularly lucrative in the long run. Rather than waiting to see a property in person, CRE technology serves up multifamily property details with the click of a button, so potential buyers know their assets inside and out before ever stepping inside them. Similarly, the manufacturing vertical in Buffalo continues to rise. As the third largest employment sector in the Buffalo-Niagara region, industrial and manufacturing are also facing strong demand with minimal supply; the area’s total vacancy rate lies at 3.5%, which is less than half the nation’s rate of 7.7%. Industrial investments in Buffalo’s OZs might prove advantageous down the line. Reonomy data indicates that there are 564 industrial assets in Buffalo’s OZs, including light industrial properties, warehouses and storage units. This number is relatively low compared to multifamily, but investors shouldn’t overlook the 6,440 vacant land parcels also zoned in designated census tracts that widen the scope of property options for industrial developers to examine. While these numbers display the sheer scope of industrial opportunity in Buffalo’s OZs, the depth of this data is what enables stronger decision-making and deal-making. Platforms like Reonomy allow investors and developers to harness associated property details, like sales and portfolio records, to create customized deals directly with property owners. Rather than approaching owners blindly, users are well-informed before making a call, empowering more personalized deals and ensuring smarter investment decisions. As Buffalo and Western NY continue to draw attention from the commercial real estate community, demand will continue to climb–especially in OZs. To stay ahead of the competition and unlock smarter, savvier deal-making, the key lies in CRE technology backed by expansive off-market data. 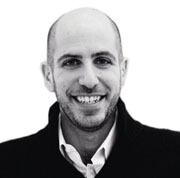 Richard Sarkis is co-founder and CEO of Reonomy, New York, N.Y.